Oil and watercolor on lined cardboard. 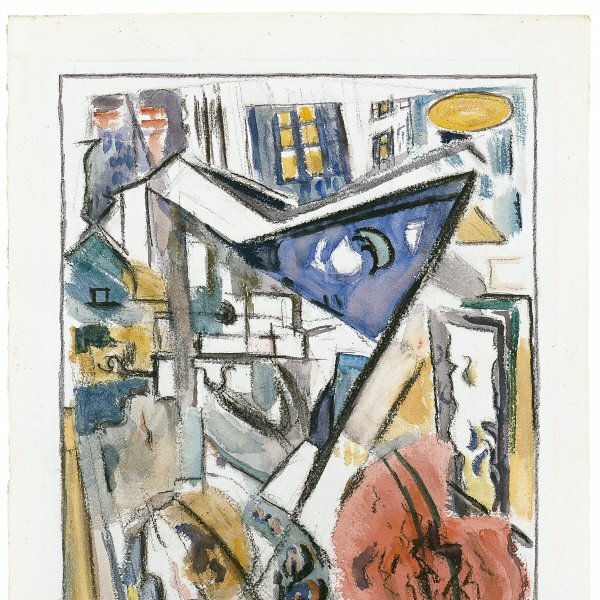 Stuart Davis confessed that “The two dominant forces in my early art education were the teachings of Robert Henri and the Armory Show of modern European art.” Davis’s painting is a constant attempt at reconciliation between realism and abstraction, between his commitment to the American themes taught by his master Robert Henri and the abstract art from abroad, and between the need to capture surrounding reality and the belief that a painting was an object independent from that reality. In his so-called Tobacco still-lifes executed at the beginning of the 1920s, which, like the present Sweet Caporal belonging to the Thyssen-Bornemisza collection, were inspired by cigarette packs, he not only exploits the formal potential of such packages but is interested in them as cultural products. Perhaps, as Bonnie L. Grad suggests, this appropriation of different quotidian objects is inspired by the Dadaist works of Marcel Duchamp. However, as Barbara Zabel points out, it also anticipates by several decades Andy Warhol’s Campbell’s Soup Cans. 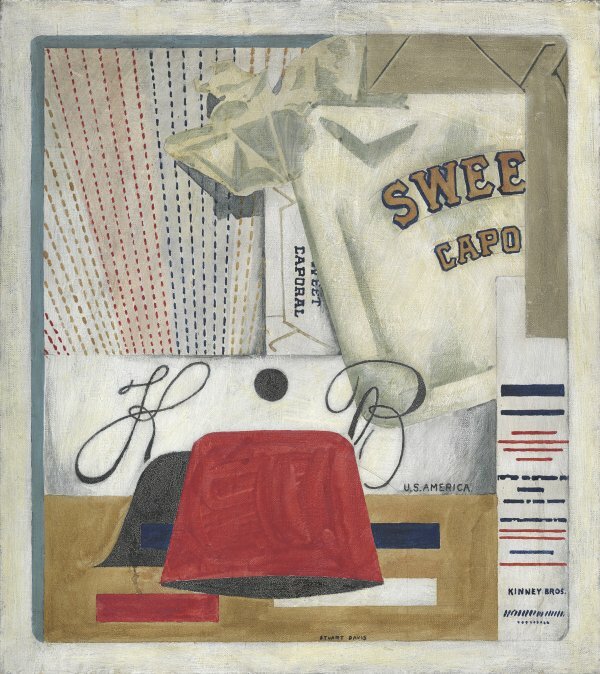 Employing a language inherited from synthetic Cubism, in Sweet Caporal Davis shows his fascination with reproducing the words printed on the packaging of modern consumer products or billboards, which he furthermore uses as a device for emphasising the flatness of the pictorial composition. 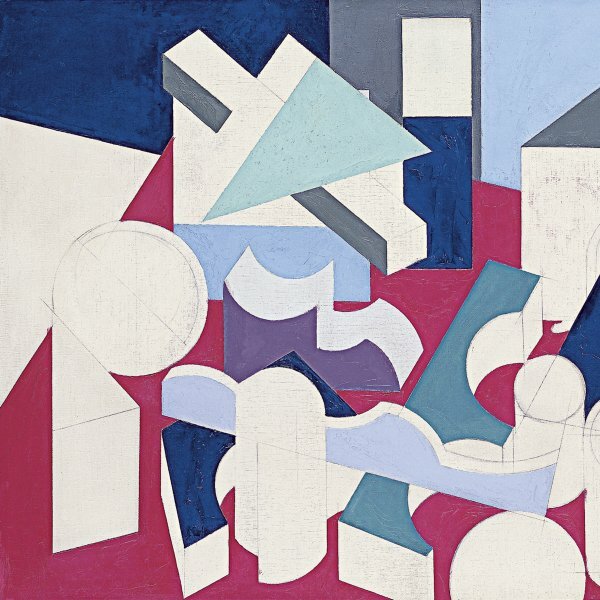 Cubism provided him with the key to making the transition from perception to conceptualization and he embraced a new type of painting based on Cubist collages with a series of overlapping planes, in a continual interplay of perspective and two-dimensionality.